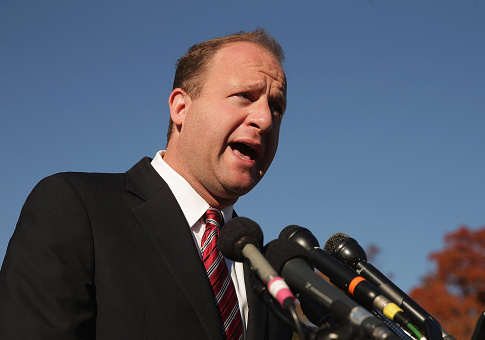 State Victory Action, a 527 political organization which has been funded primarily by billionaire activists George Soros and Tom Steyer, made a $500,000 donation to a group in Colorado supporting Rep. Jared Polis, the Democratic nominee for governor. The 527, which was formed this past February, made the donation to Good Jobs Colorado, an independent expenditure committee registered in the state. As an independent expenditure committee, Good Jobs Colorado can spend an unlimited amount to promote their message, provided they do not coordinate with the candidate they are supporting. Good Jobs Colorado is also funded by other political groups such as the Democratic Governor's Association and left-wing organizations such as the Sixteen Thirty Fund, which Politico recently called a "liberal secret-money network." Money has already been an issue in Colorado this year as the governor's race is on pace to be the most expensive campaign of its kind in the state, with much of that due to Polis self-funding his campaign. Polis is a multi-millionaire who has long been listed as one of the 10 wealthiest members of Congress, and according to recent data from the Colorado secretary of state's website, has donated $18.5 million to his campaign thus far. By self-funding his own campaign committee, Polis has claimed that allows him to be free of influence from outside interests. Good Jobs Colorado, meanwhile, has already run at least one television ad attacking the Republican nominee, State Treasurer Walker Stapleton, claiming that while serving as treasurer he missed board meetings for the state public employees pension system which has been chronically underfunded. The ad went even further claiming that, "Stapleton was busy at things like political events, golf outings and lunching with campaign donors." Local television station KUSA gave the ad a "truth test" and singled out that line as being "not true." The truth test also noted that while Stapleton did not personally attend some of the board meetings in question, a deputy treasurer did attend. "[The ad] completely fails to tell you that his deputy has been granted the same voting power to attend the meetings and make decisions on behalf of the Treasurer's Office," the KUSA report concluded. "As Colorado's pension system barreled toward a funding crisis, where was our state treasurer?" asks an ad funded by the Democratic Governors Association through the political action committee Good Jobs Colorado. Well, the answer is Stapleton was about the only person sounding the alarm. According to IRS records detailing financial activity from the time State Victory Action was created in February through the end June of this year, Soros had contributed $4.25 million, while NextGen Climate Action, Steyer's PAC, contributed $3.5 million. Those donations represented almost 70 percent of all monies raised by SVA. The other major donor to State Victory Action is S. Donald Sussman of Maine, who was one of the biggest contributors to Hillary Clinton in 2016. The activity between State Victory Fund and Good Jobs Colorado was first reported by the Colorado Sun. Neither the Polis campaign nor representatives with NextGen America returned a request for comment. This entry was posted in Politics and tagged 2018 Election, Colorado, George Soros, Jared Polis, Tom Steyer. Bookmark the permalink.